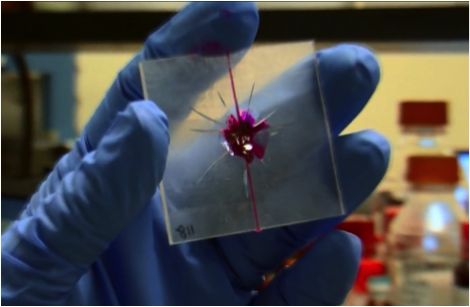 Researchers create a self-healing, transparent, highly stretchable material that can be electrically activated and used to improve batteries, electronic devices, and robots. 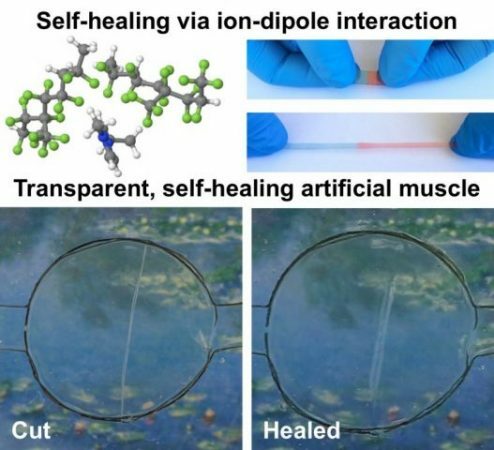 RIVERSIDE, Calif. (www.ucr.edu) — Scientists, including several from the University of California, Riverside, have developed a transparent, self-healing, highly stretchable conductive material that can be electrically activated to power artificial muscles and could be used to improve batteries, electronic devices, and robots. Self Healing Concrete is a term that is used for cement-based materials that repair themselves after structure gets damaged due to some sort of deterioration mechanism. Nowadays new technologies are spreading at a rapid pace. 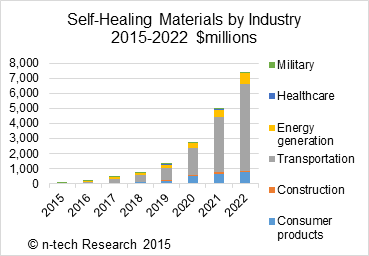 Many types of research are going on but “Self Healing Roads” will help a lot in order to change present condition of the world. New material is being developed which will sense about break points in their structure and repair without the need of human intervention. Concrete is one of the most widely used materials in the world, but at some point, no matter how it is mixed, it will crack and deteriorate. But as everything is getting smarter day by day humans made concrete even more workable than before. Industry analyst firm n-tech Research today announced the release of a new report titled “Markets for Self-Healing Materials: 2015-2022.” According to the report self-healing materials (reversible polymers, inorganic capsule and vascular systems, biomaterials, relevant shape memory materials and other self-healing coatings) will grow to around $2.7 billion by 2020. Illinois researcher Hanze Ying, a member of materials science and engineering professor Jianjun Cheng’s research group, demonstrates the making and self-healing properties of a new dynamic polymer. For more information, go to http://cheng.matse.illinois.edu/. 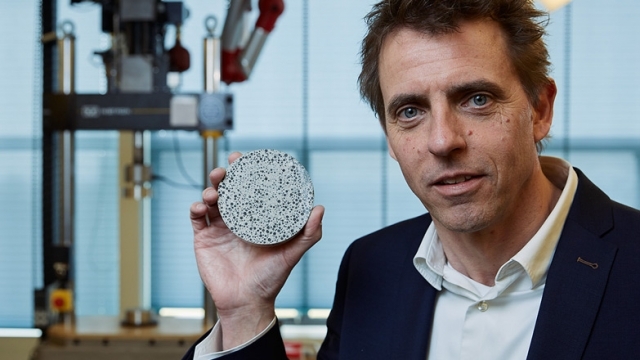 What Do You Know About Self-Healing Plastics?